Our QBanks give students the power to simulate nearly ever test environment imaginable, from full-length licensing exams to individual topic mini-exams. Your students can create exactly the test they need to target problem areas and improve their scores. For more information, or to see a demo of this product, email salesops@dearborn.com. Realtor.com® expects a strong spring. Solid economic growth and job creation are important to a healthy housing market, and recent data from the Bureau of Labor Statistics indicates a strong trend in employment growth. 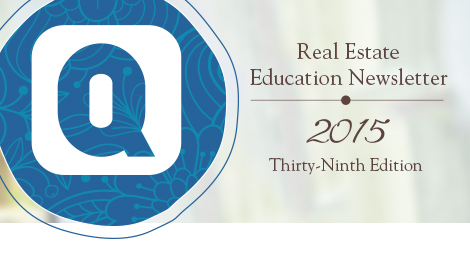 Each quarter, Dearborn produces a newsletter geared specifically to the interests of instructors. We cover practical classroom tips, technology trends, and industry articles. Click below to get on the list!